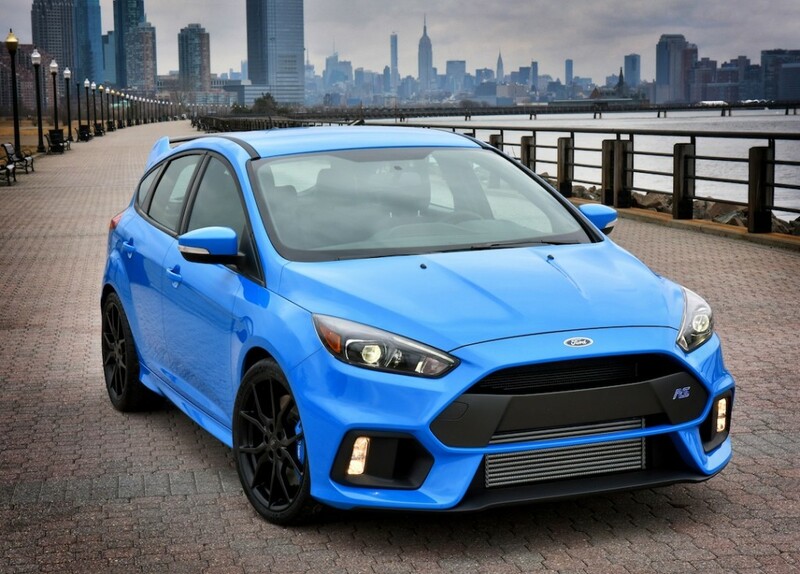 2016 FORD FOCUS RS by Jim Corbran, Automotive Columnist You don’t even have to be an… ahem, old guy to remember when the Ford Focus was known primarily in the USA as a compact economy car. It still is. There has been the occasional spark — like the 2003 SVT Focus, whose tuned powertrain and suspension, along with a sportier interior and special styling cues, gave some hope to the Blue Oval Hot Hatch crowd. But for the most part the Focus has remained a reliable family compact. Until now. (Or as now as the spring of 2016 can be.) For here comes the Focus RS to North America with a zero-to-60 time of 4.7 seconds, courtesy of a 350-hp 2.3L EcoBoost engine capable of moving the RS to a top speed of 165 mph. Recaro seats, extra gauges, and a flat-bottomed steering wheel highlight the interior, while the outside gets a mean look through the use of a lowered stance, different grille, spoilers, and 19-inch rims. Read more about the new Focus RS here. You can also check out the current RS, available right now in the UK, by clicking here. ### The post 2016 FORD FOCUS RS appeared first on Buffalo Cars.